Every Thanksgiving my mother takes what’s left of the turkey carcass and makes a delicious turkey soup that we enjoy for days. The amounts shown are a guideline. Improvise at will depending on the ingredients you have on hand and how much soup you are making. 1 Remove all the usable turkey meat from the turkey carcass to save for making sandwiches later or for adding to the soup once the stock is made. 2 Put turkey carcass, vegetables, drippings in large pot, cover with water: If you are working with a large turkey carcass, you may want to break up the bones a bit so they fit better in the pot. Place the turkey carcass, neck (if you haven't cooked it with the turkey), leftover skin and bones from dinner, into a large stock pot (at least 8 quart or 12 quart depending on the size of the turkey), and cover with COLD water by an inch. Add any drippings that weren't used to make gravy, and any giblets (not the liver) that haven't been used already. Add thickly sliced onion, some chopped carrots, celery and celery tops, parsley, thyme, a bay leaf, and some peppercorns to the pot. 3 Bring to a boil, reduce to a simmer, skim foam: Bring to a boil on high heat and then lower the heat to keep the stock to a bare simmer. Skim off any foamy crud that may float to the surface of the stock. 4 Add salt and pepper to the pot, about 1 teaspoon of salt, 1/2 teaspoon of ground black pepper. It sort of depends on how big your turkey is. You can always add salt to the soup later. 5 Cook for at least 4 hours, partially uncovered, occasionally skimming off any foam that comes to the surface. 6 Strain the stock: After 4 hours of a low simmer, use tongs, a spider ladle, or a large slotted spoon to remove the bones and vegetables from the pot. Then strain the stock through a fine mesh sieve or strainer. 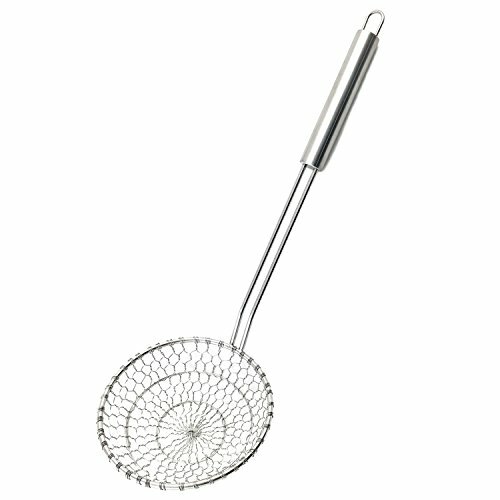 If you have a strainer but it isn't a fine mesh strainer, you can line it with cheesecloth or with several layers of dampened paper towels and strain the stock through that. 7 Reduce the stock: If making stock for future use in soup you may want to reduce the stock by cooking it longer, uncovered, to make it more concentrated and easier to store. Makes 3 to 4 quarts or more of stock, depending on the size of the turkey carcass, and how much water you added to cover it. Prepare the turkey soup much as you would a chicken soup. 1 Sauté carrots, onions, celery in a large pot: In a large soup pot, heat some butter or olive oil (or turkey fat rendered from the stock) on medium high heat. Add chopped carrots, onions, and celery in equal parts (about a cup each). Cook until the onions are softened, about 10 minutes. 2 Add garlic, stock, parsley, seasonings: Add a couple cloves of garlic, chopped, and cook for a minute more, until the garlic is fragrant. Then add the stock to the pot. Add some parsley and seasoning—salt, pepper, poultry seasoning, sage, thyme, marjoram, and/or a bouillon cube. 3 Bring to a simmer and cook until the vegetables are just cooked through (5 to 10 min). 4 Add turkey meat, noodles: Add noodles, rice, or even leftover mashed potatoes (skip all of these if you are cooking low-carb). If adding noodles, cook for 4 minutes. If adding rice, cook for 15 minutes. Take some of the remaining turkey meat you reserved earlier, shred it into bite sized pieces and add it to the soup. Cook for 1 more minute to warm the turkey meat. You may also want to add some chopped tomatoes, either fresh or canned. Add salt and pepper to taste. Sometimes a dash or two of Tabasco gives the soup a nice little kick. Hello! All photos and content are copyright protected. Please do not use our photos without prior written permission. If you wish to republish this recipe, please rewrite the recipe in your own unique words and link back to Mom’s Turkey Soup on Simply Recipes. Thank you! I never leave reviews, however, I feel I must with this one. I made this with the leftover turkey I smoked. I followed the recipe exactly and leaned to the 1 1/2 cup size for each of the soup veggies. I fried them in 50/50 olive oil and butter. To me it felt odd to dump all the ingredients used to make the broth, but I did. And I will from now on. The broth was thick and excellent and had reduced to less than 50% of what I started with. The soup was fresh and delicious and I am looking forward to the leftover bowl for lunch today. 5 stars! My first time making turkey soup. So easy to make and tasty! I used thermos shuttle chef instead of long simmering time. My husband was impressed! The best turkey soup I ever made keep making it to this day!! Perfect recipe and everyone just loved it!! Thank you ! I’m assuming there is a lot of turkey meat that should be kept to the side after the 4 hr boil? Hi Lori, well this turkey soup is made from the leftover carcass of a turkey that you’ve already cooked and served. Usually we have a cup or two of leftover turkey meat to cut or shred and add to the soup when it is all done and ready to serve. Yum, just like moms but w instructions/measurements! Next time I want to add leftover gravy, do I add at the beginning w the bones or later in the soup? Hi Kat, I would add gravy at the end, when you are constructing the soup. The first part is really just to make the stock. I know people who even add leftover mashed potatoes and stuffing to their soup! Makes it more stew-like but I’m sure it’s delicious. This was my first attempt at homemade turkey stock/soup after Thanksgiving and it was amazing. Thank you so much for the step by step directions! Hi Karen, I’m so glad you liked the turkey soup! I made Mom’s Turkey Soup and my husband said, “Usually it tastes better the second day, but this is terrific day one.” I have to agree. Best turkey soup I have made..hands down. Thanks for a great recipe. I’m so glad you and your husband liked it Angela! We make some version of this soup every time we cook a turkey. Love this! I added rutabaga and 1/2 cup of sherry. The house smelled amazing all day and it was everything we hoped for. Hi Kurt, what a great story, thanks for sharing! So glad you and your neighbor liked the soup! Awesome recipe! The family loved it. I added diced tomatoes which added another layer of flavor. This was great. I cooked the stock base for around 6 hours, it was perfect. It was really great to have after days of super heavy starchy meals. It felt like a nice break. Thanks for the recipe. I have made it every year and don’t bother with removing any stock – I boil the hell out of the bones then remove them before I add anything. I just wing it every year with the traditional ingredients and spices mentioned here -. BUT I also add barley grains and bit of rice and also egg noodles. I think the barley makes the soup. I did brine my turkey this year so I have not added any salt (yet, anyway). Making this soup for the 3rd year in a row. It’s my favorite part of Thanksgiving, as I, too, always made this soup with my family as a kid. Thanks, Elise! I made this last year and I am so excited to do it again! It is an amazing soup recipe that is so simple yet so delicious! I always get the carcass from my dad because he does a delicious brined, smoked turkey. I literally do not have to add any salt or seasoning to the soup it is so good as is. The only thing I did differently is I cooked the stock veggies on medium-high for a minute or so in the soup pot (before adding the carcass) until they were a bit browned. It added a little extra depth of flavor. Also, I cooked it on low for 10 hours on a sunday while I watched movies. Such an awesome new tradition! I made this soup last night but didn’t add the turkey or noodles yet. If I’m going to freeze some of it, is it ok to add them before freezing or better to add when thawed? Hi Carla, I would freeze the soup with the turkey but without the noodles. When you reheat, add the noodles and just cook for a couple of minutes. I just finished making the stock part of this recipe. I strained it and it’s now in the fridge to cool overnight. 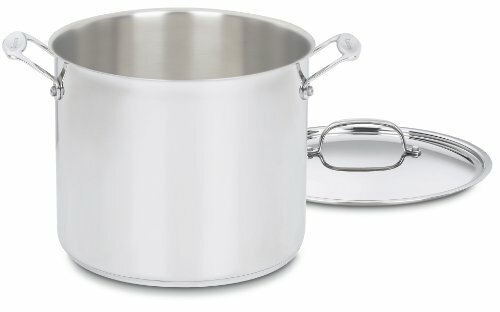 I had to use my big canning pot to fit the carcass (14 lb turkey) and the vegetables so I have a loooot of stock… 2 big “soup” pots full. But probably only enough turkey for 1 round of soup. I know I can freeze the rest of the stock, but what can I make with it since I won’t have any turkey left? Hi Jessica, well you could make soup with just a little of the turkey and lots of noodles, or you could make a turkey soup like this one https://www.simplyrecipes.com/recipes/curried_turkey_soup/ which has a lot of apples, rice, carrots, and celery. Or you could freeze the stock (leave an inch head room in the jars) and use it for any recipe that calls for chicken stock. How much noodles do you put in? Also we put noodles in once before and it absorbed all the liquid, is there a way to prevent that? Also is this freezer friendly? Hi Mike, the amount of noodles depends on how much stock you’ve added to your soup, and how noodle-ly you would like your soup to be. I would start with 4 ounces of dry noodles. You can always add more as noodles take only 5 minutes to cook in the broth. The soup can be frozen (without noodles) for up to 3 months. Stock is done and he house smells amazing! Used a leftover smoked turkey carcass! Do you use 3-4 quarts of stock for the soup?? Hi Jessie, it depends on how much soup we are making. When it’s the holidays and we have a bunch of people staying over for days, we use it all and make a big batch of soup that will last for days. If we have fewer people and don’t need to make as much soup, I fill mason jars (leaving at least an inch head room for expansion) and freeze the stock I don’t need. I’ll use it later on for various soups in place of chicken stock.